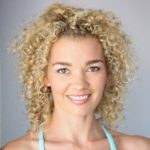 Nikki Ralston is a natural teacher who has been working with the human body for the last 18 years, her passion for yoga, movement and anatomical understanding shines through and is infectious to others. 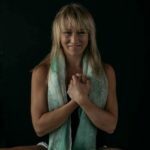 Nikki has devised her own ‘Ralston Method’ which provides life enhancing practices, her physical asana practice combines the best elements of hatha, vinyasa, precision alignment and mindfulness teachings. Her classes are strong yet grounded, guiding her students to gain a deeper understanding of themselves, giving skilled yet simple cues from her deep understanding of the human body and subtle energies, creates a transformative experience and a practice that lasts a lifetime. Balanced by her delightful sense of humour that encourages students to reclaim the joy within their practice and life. The Ralston Method makes meditation, breath work and mindfulness easy and accessible to anyone. Nikki has been at the forefront of polarising yoga in New Zealand and making the ancient practice of yoga relevant and complimentary for our modern lifestyle.